Agent 6 (Edmund from Greenville) telepathically controls Tim and Summer on this special episode of the Psi Corps Podcast. 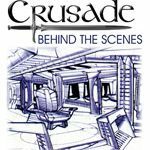 Edmund gives us an update on the status of “Three-Edged Sword”, a Babylon 5 audio drama that you can find at Voices of Babylon. It’s been a fun ride, no matter how long it takes to get to the conclusion of this chapter. Deep Geeking: This week, we discuss “The Corps is Mother, The Corps is Father”, and the special place that the Psi Corps holds in Edmund’s heart. We chat a little about seeing a different side of the inner workings of Psi Corps in general and Bester’s methods of grooming potential proteges. 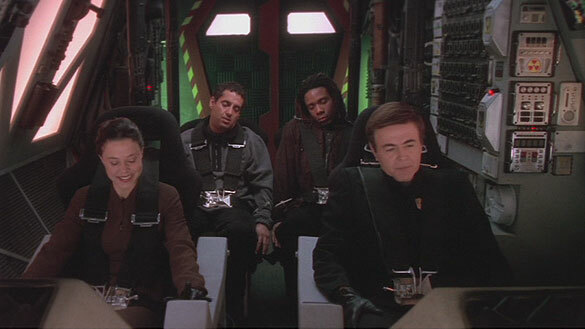 Much of the discussion centers on speculation on how secretive and well armed the Psi Corps appears to be, and just how powerful telepaths might truly be in hyperspace. Feedback: Covering a few quick voicemail messages this week: Neil from Bowie suggests that we contact Mojo via his blog in order to get him to come on for an interview; Frank from WV comments more on G’Kar in “Day of the Dead”; Gabe from Greenville comments on Rebo and Zooty being merely homages to Laurel and Hardy; Gary thinks that Byron’s philosophical paradigm shift is really because he was being controlled or programmed by Lyta; Gary adds more supposition to where the original CGI data files might have gone; Gary agrees with Tim’s assessment on how Delenn and Sheridan mishandled the dissemination of information to the Alliance worlds; Gary recommends “Planetary” by Warren Ellis somewhere in between discerning the difference between magic and advanced technology; Gary blames Summer for hearing the WB closing chimes at the end of the podcast music now. If anyone wants to Guest Geek on any of the upcoming episodes, novels and comics, let us know! Send an email to Tim and Summer about it, and we’ll get things set up! Good thing I just rewatched this episode last night, because for the life of me I can never remember when new podcasts are posted! I really do have to go listen to ‘Three-Edged Sword’, especially since John is an old acquaintance of mine from fandom days gone by. I also had no idea Summer was part of the production! And on a completely shallow and random note, Edmund has such a cool voice. Just had to say that. 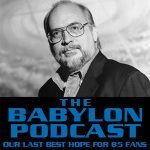 “Babylon 5 was generally good from a distance, but not close-up. Individual scenes and episodes suffered from uneven acting, crappy dialogue, etc., but the show seems much better when one steps back and considers an entire season as a single work– from that vantage point, you can see how there was a long-term story arc and subtle step-by-step progression of the story to its pre-planned end. In 2009 this doesn’t sound like anything that special, but in the mid-1990s, virtually nobody was doing this on television. There were, of course, some prominent warts– the aforementioned uneven acting and cheesy dialogue, plus studio meddling (uncertainty about fifth-season renewal) that led to too much being crammed into the back end of the fourth season, then a bunch of filler in the fifth season, plus actor departures that disrupted the original plan. 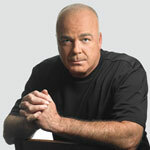 Just a little nitpick–schizophrenia is not the same thing as multiple personality disorder. Many people think it is because etymologically it means “split brain”, but actual schizophrenia is much more boring than MPD. I have just one thought for this episode. While I liked the episode itself very much–it was out of context for season five for me. I think that were we to see it earlier in the series (say, a bit after Bester’s first visit to the station involving Ironheart)–we would’ve had a, mm, richer perception of the Corps as a whole, as well as telepaths in general. And -then- Ivanova’s detest, as well as Talia’s seeming affection and loyalty, (especially -that-) would’ve made more sense (at least for me). I always had the feeling that until season 5, jms wanted the Psicorps to be this menacing shadow of an operation. I originally credited Ivanova’s wrath on the Psicorps to a child’s feelings over loosing a parent. By the end of season 5 that assumption is completely gone from my mind. I’m still of the opinion that the focus on the telepaths in Season 5 was still a stage to set up a Telepath War feature film. Oh, and Summer I know for a fact that the WB music was included this time. I even had a third party listen to make sure I had some measure of sanity left. I say include it every week. Could you adjust the levels though? Usually when I hear it in my head it’s a little softer. Thanks. Are you sure about that WB ending tag, Gary? You know we really can’t trust everything we think we hear, after someone like Agent 6 has been meddling. “I always had the feeling that until season 5, jms wanted the Psicorps to be this menacing shadow of an operation.” Oh, most certainly, but even a threat is more interesting and, well, fearful if it has depth and complexity. At least that’s how it’s always been for me. I have to admit, though, that I’m the sort who tends to ‘feel for bastards’, if they have reasons for BEING the bastards that they are beyond just ‘because I can’. Not a chance Summer. I was singing songs like Barney’s theme, and doing mathematics including proving fermat’s theorem just like I was taught to in order to avoid mind scans. You get points for trying though.